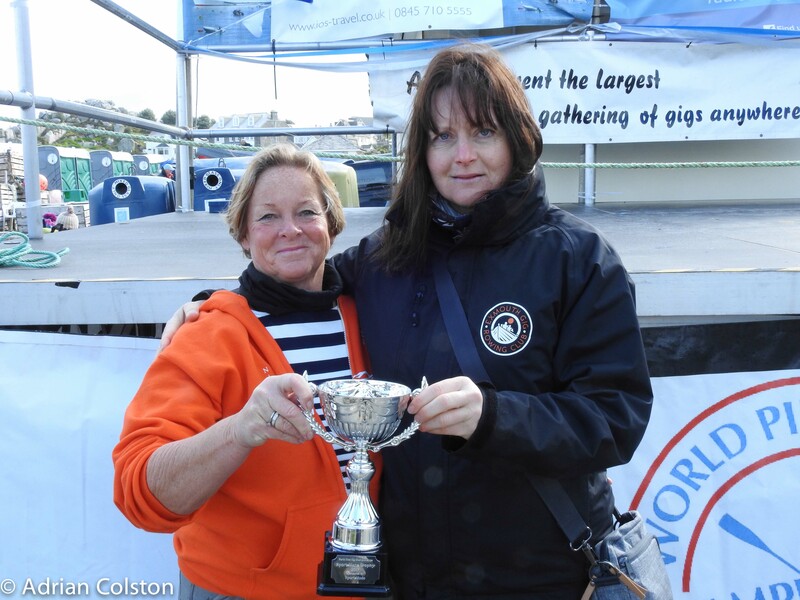 Margot and Caroline won the Sportsman Trophy for their amazing volunteering efforts in the Tunnel and the Slipway over the weekend – without volunteers this event would collapse! 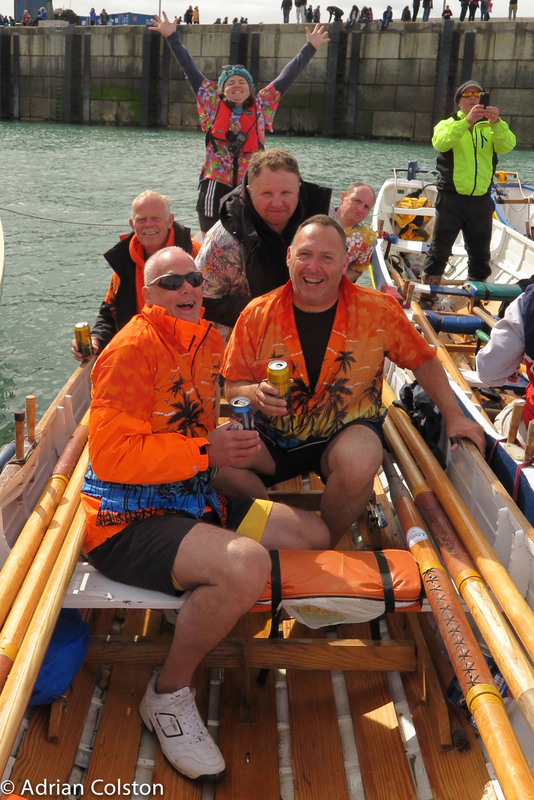 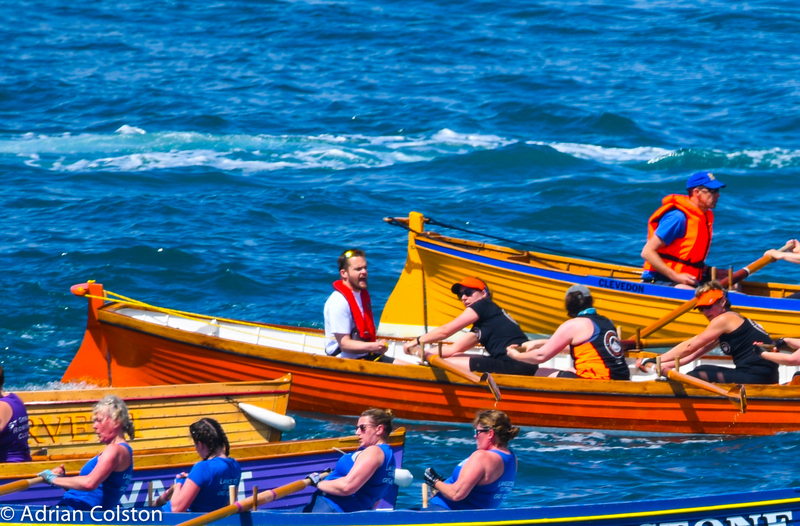 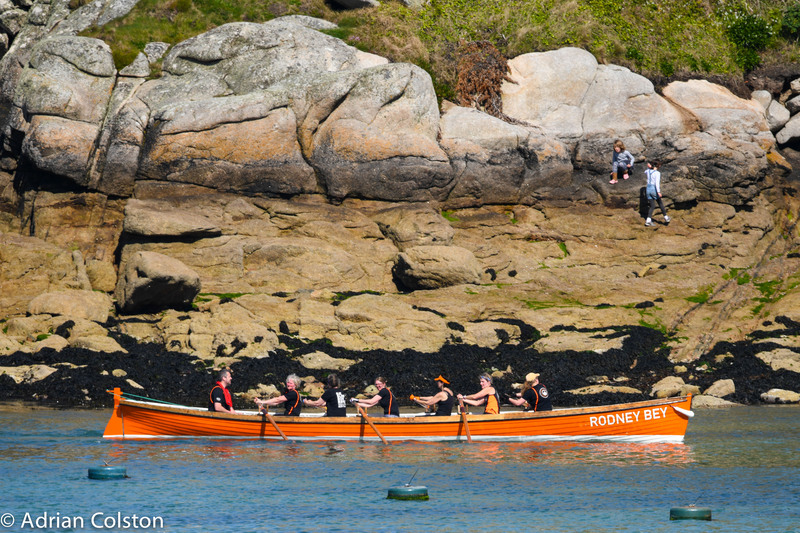 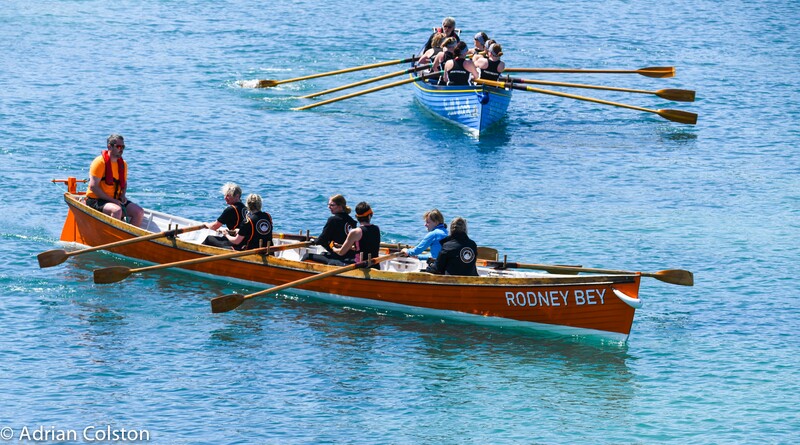 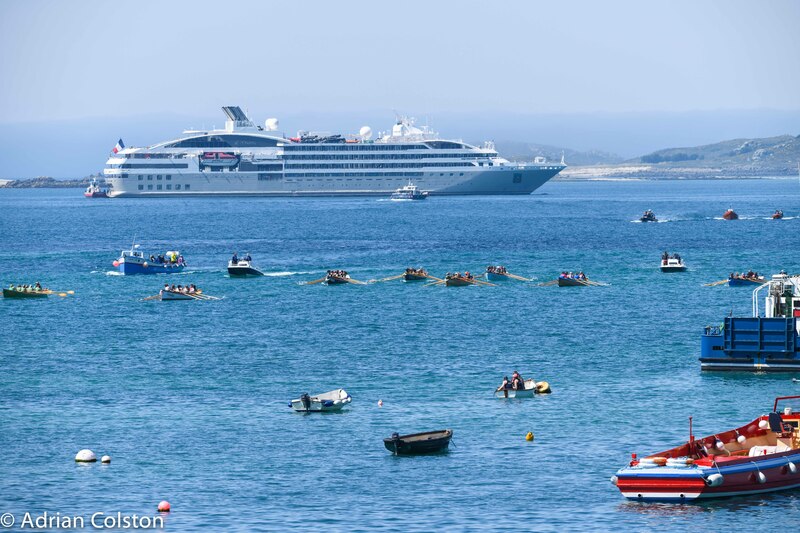 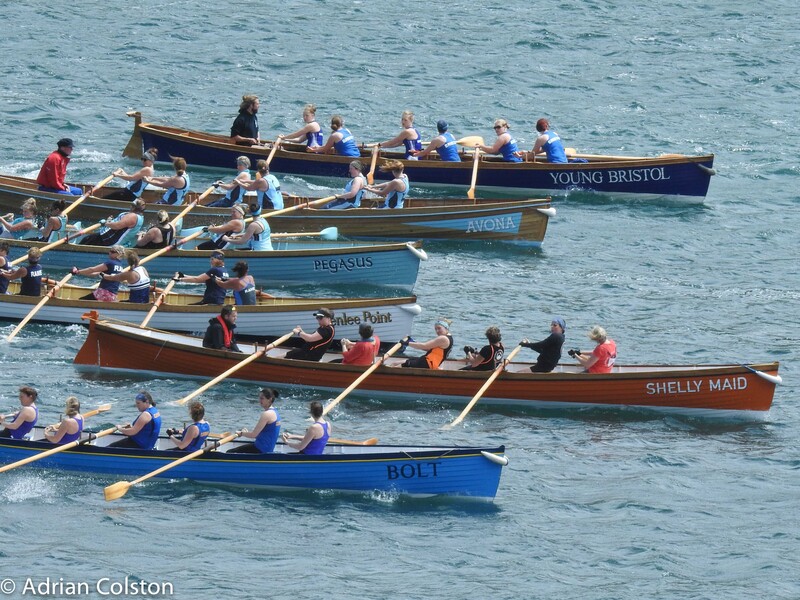 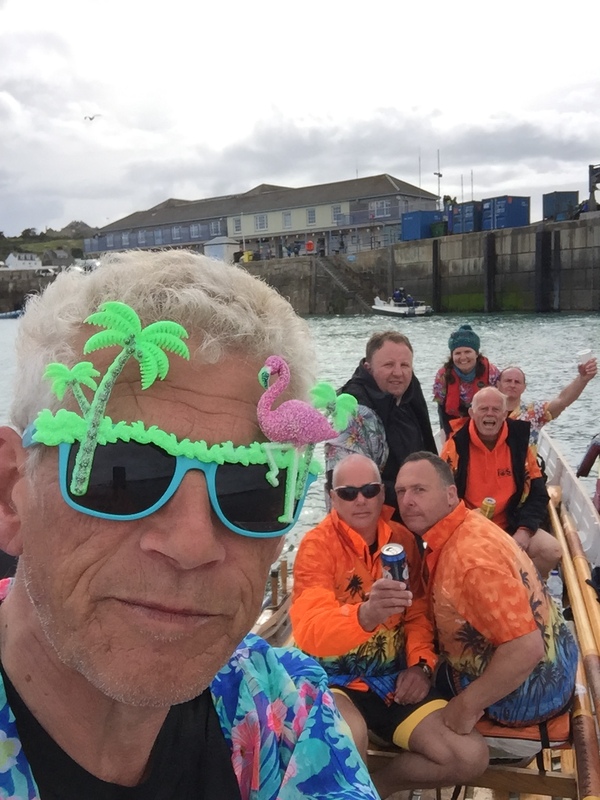 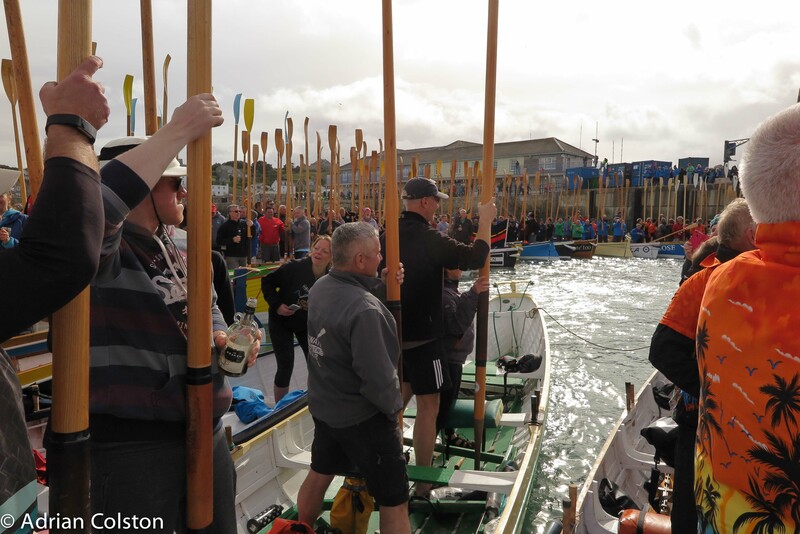 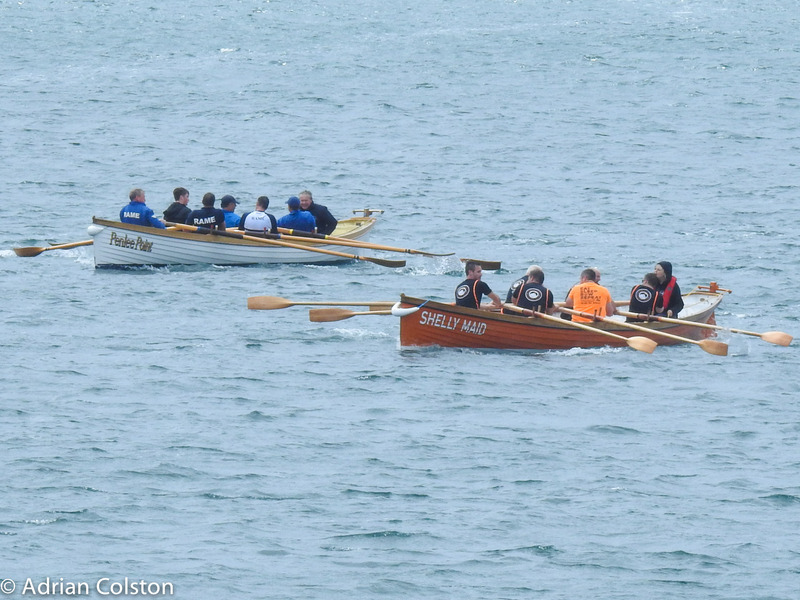 Got a bonus row last night with the ‘American’ crew at the Isles of Scilly World Gig Rowing Championships. 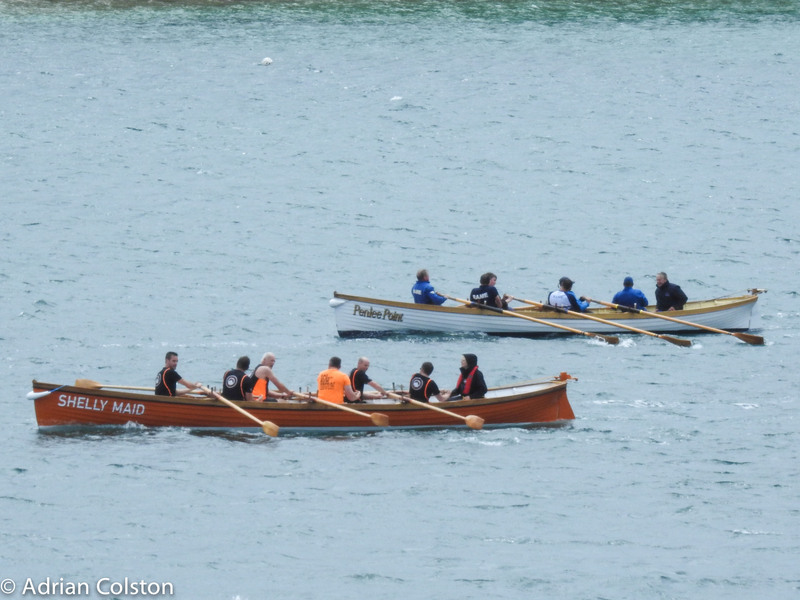 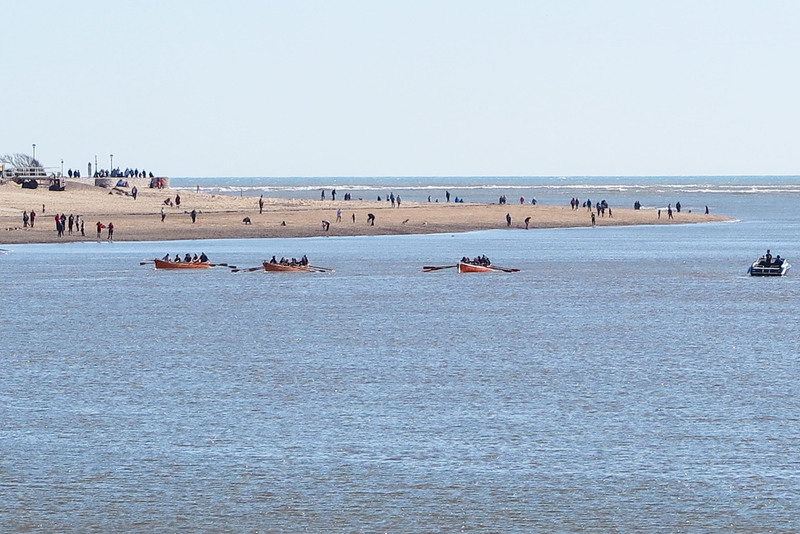 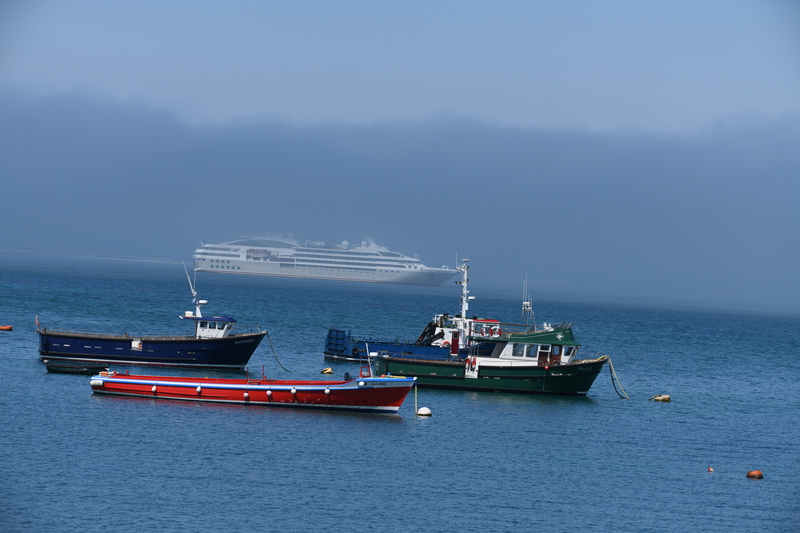 I say ‘American’ as there was only one American in the boat – the rest of use were English! 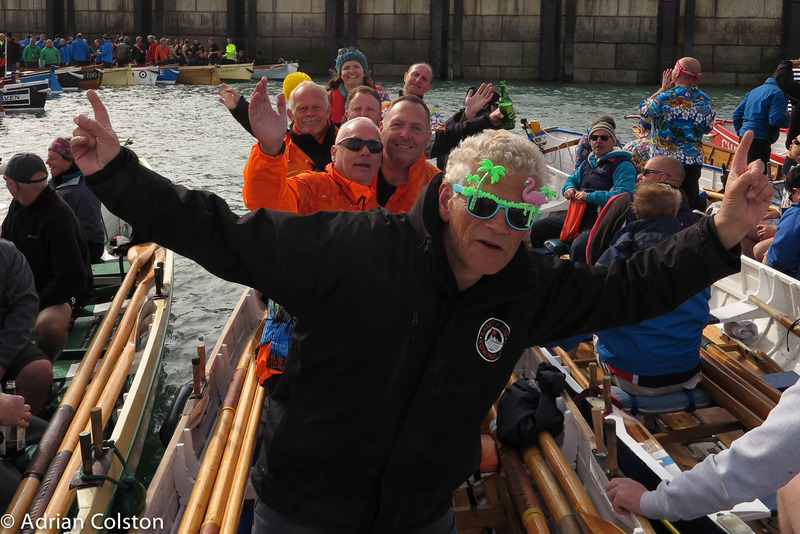 Nevertheless we were rowing in the Super Vets Race for Gloucester Gig Rowing Club from Massachusetts! 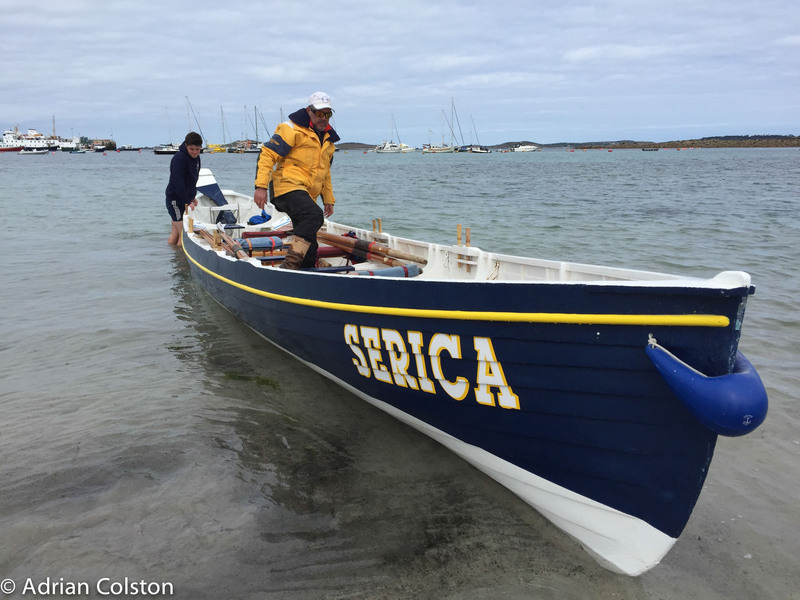 We had borrowed the St Mary’s Gig Serica which was built in 1967. 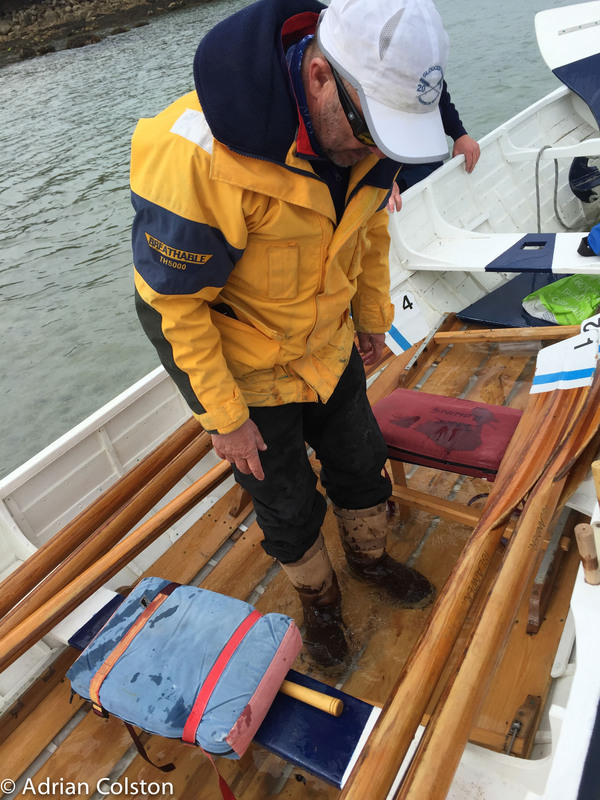 A slight problem was that the gig leaked rather badly ….. Serica obviously hadn’t been in the water for months and wood had dried out. 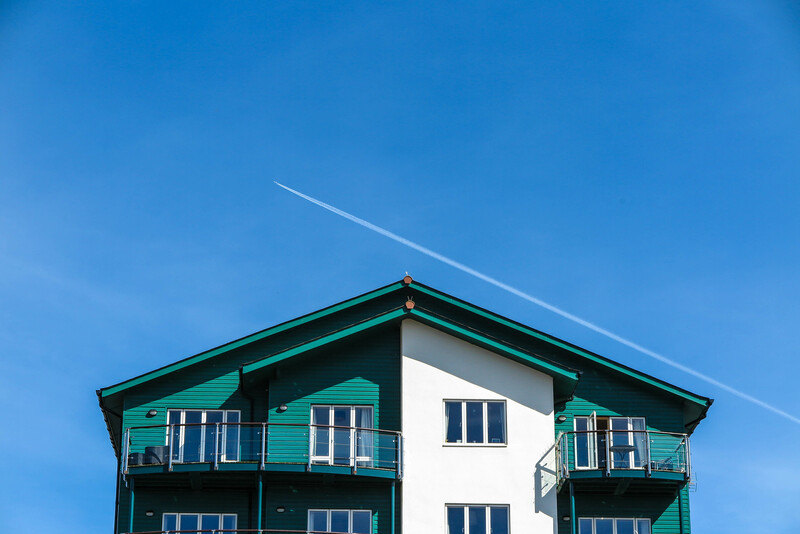 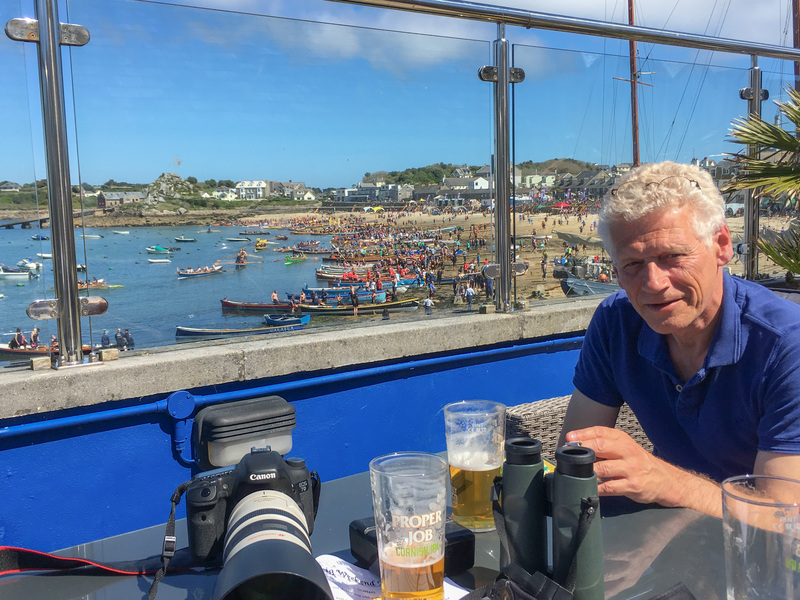 Hey ho – all part of life’s rich tapestry! 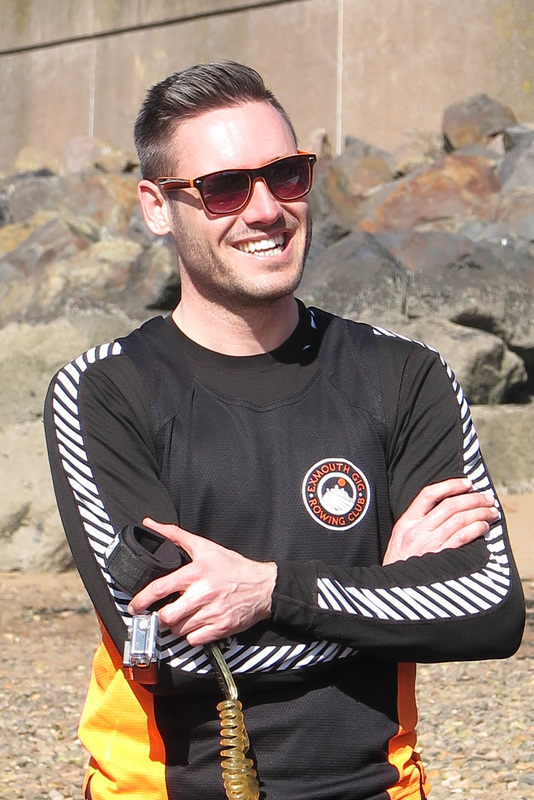 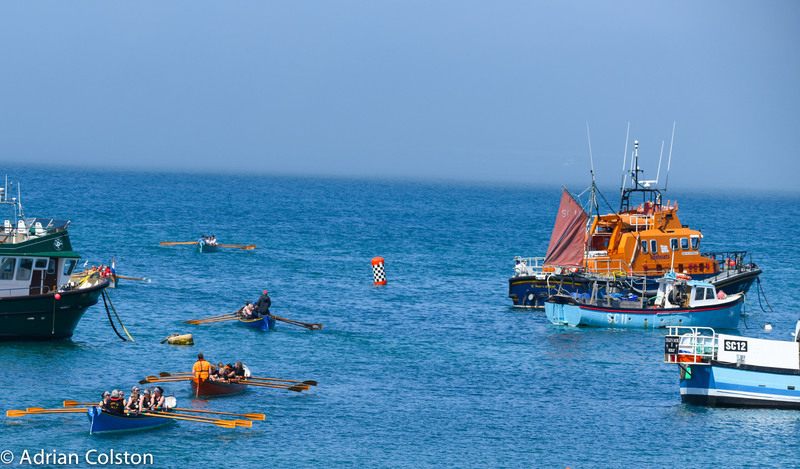 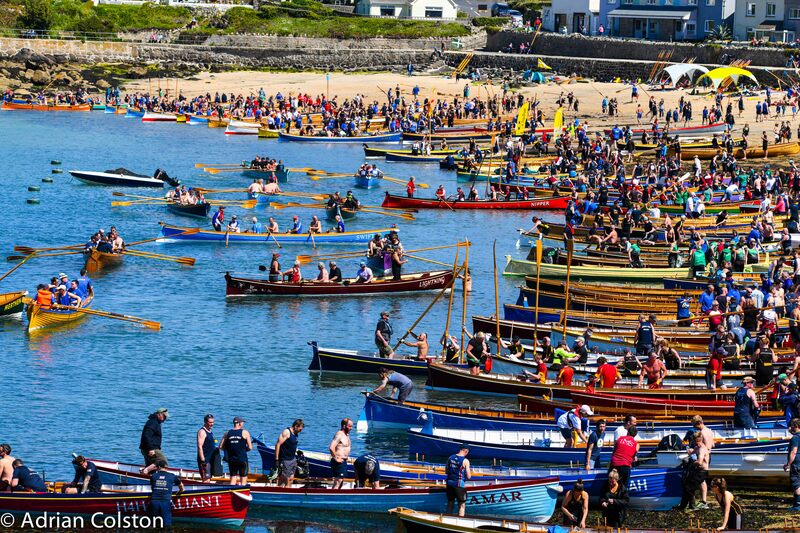 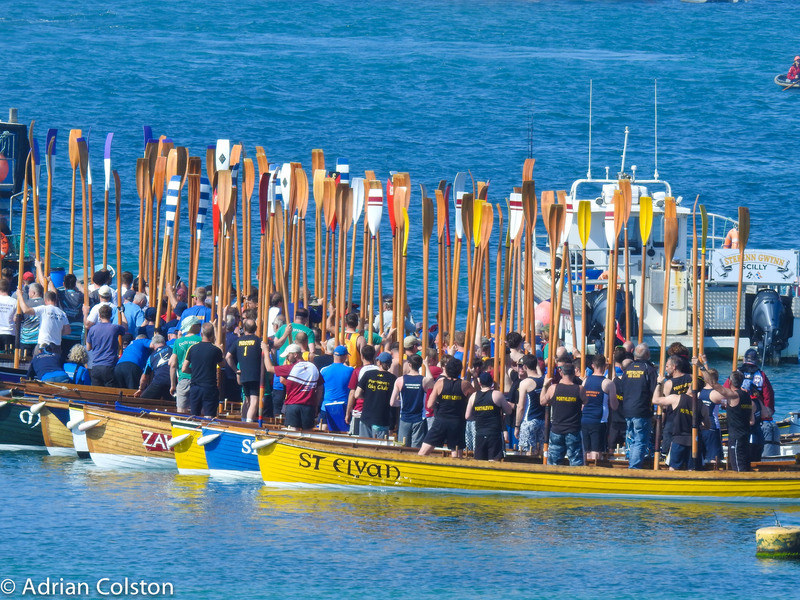 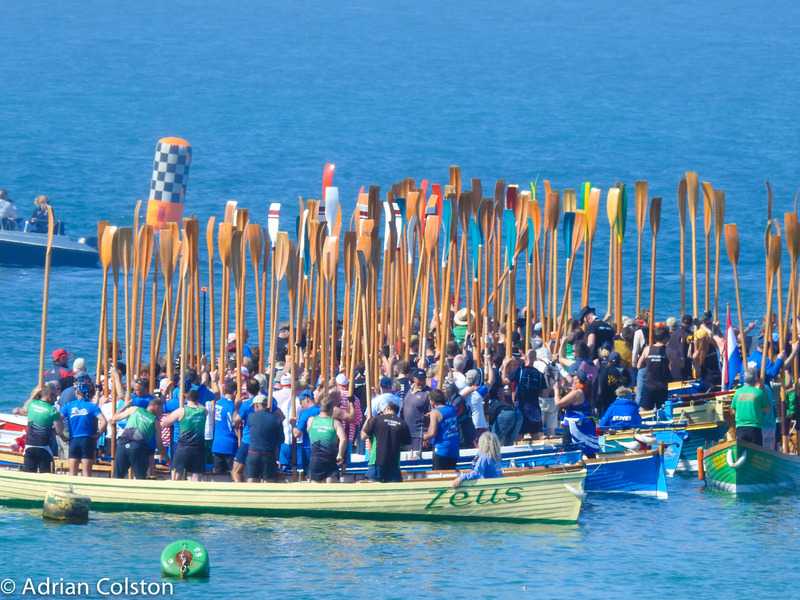 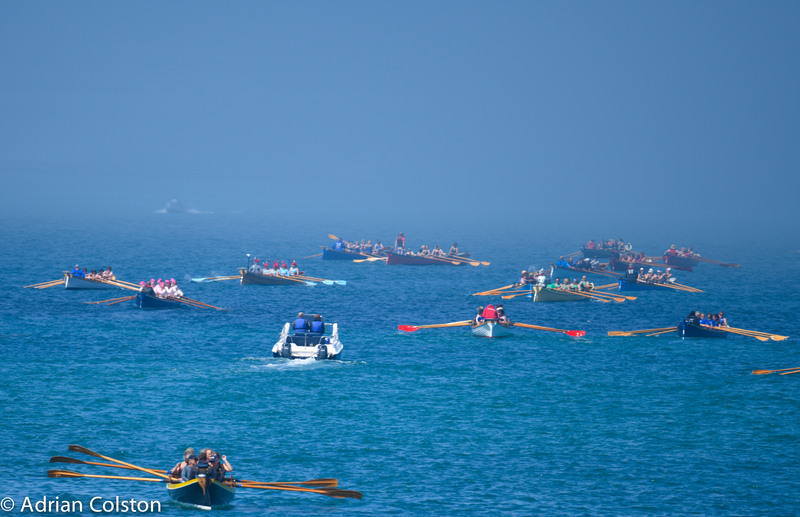 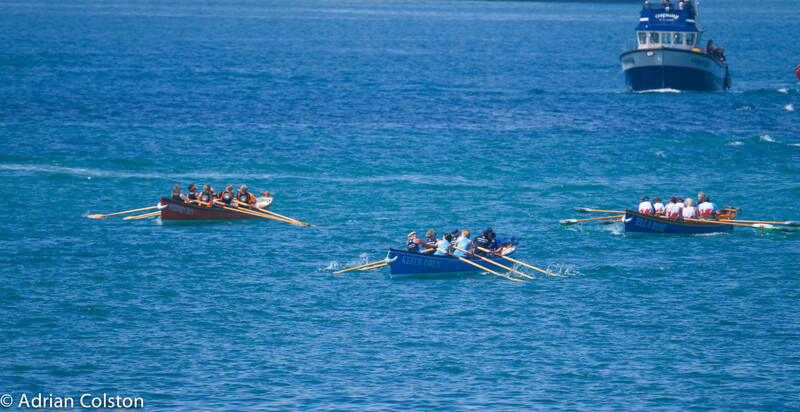 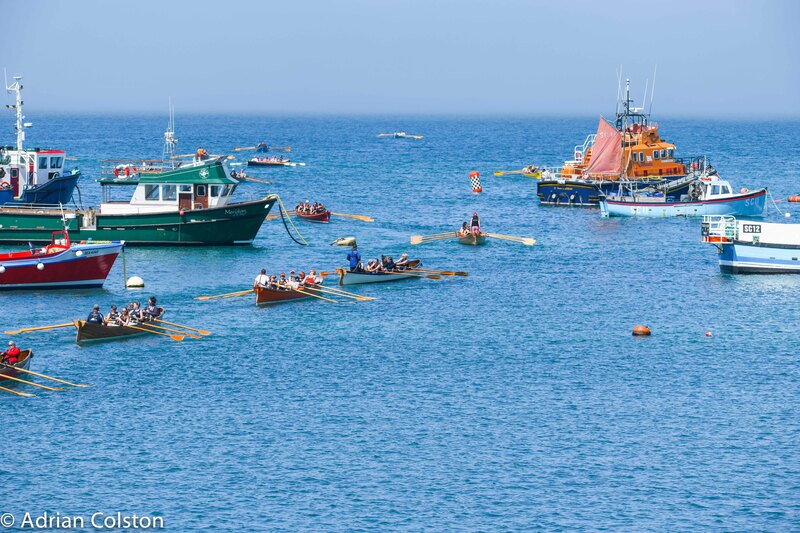 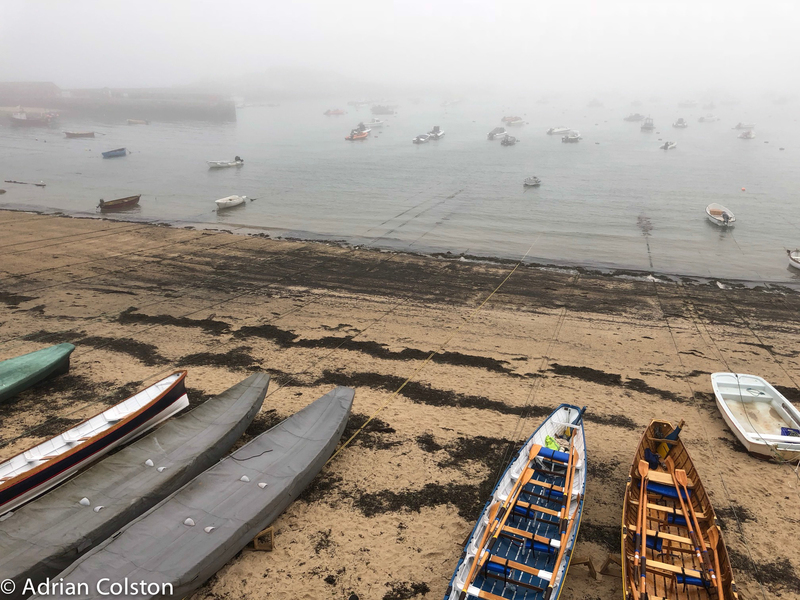 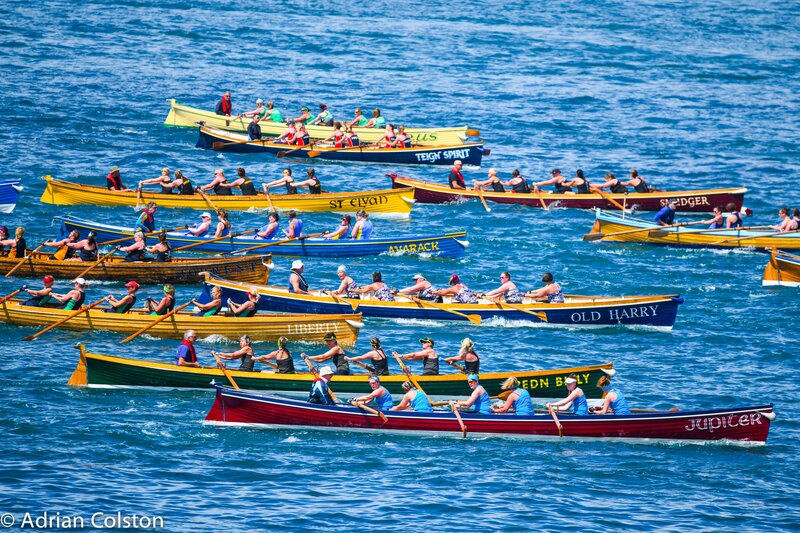 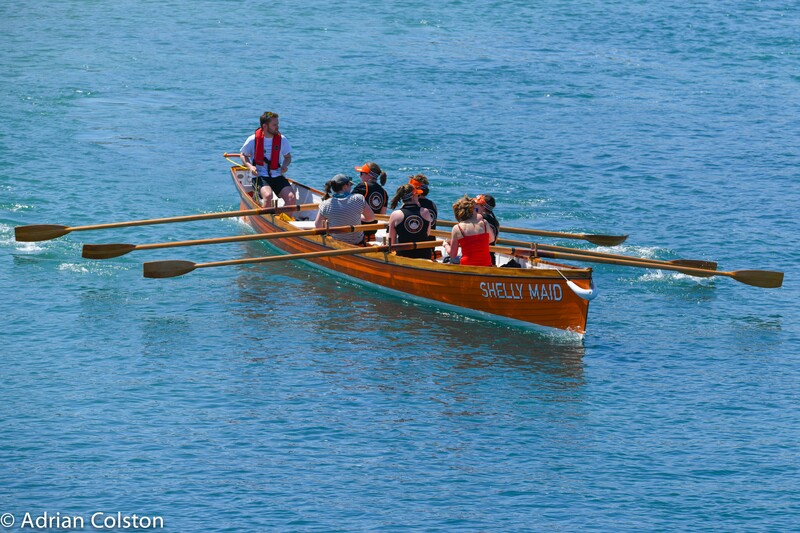 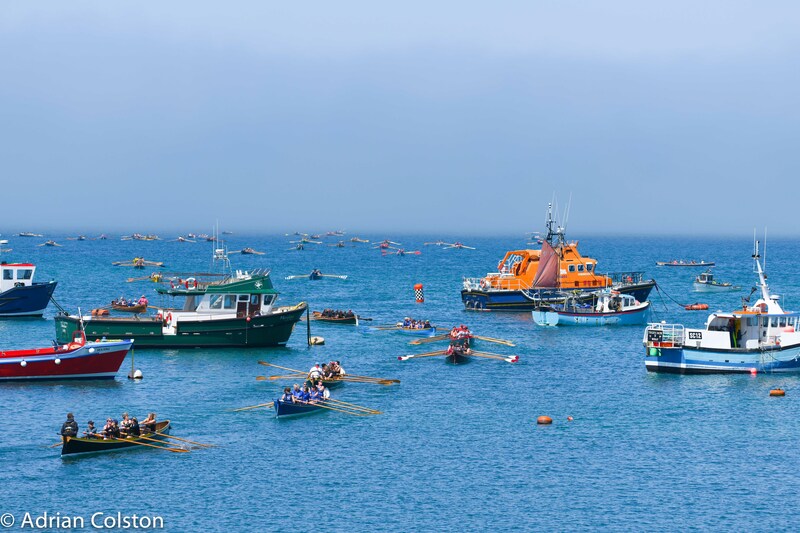 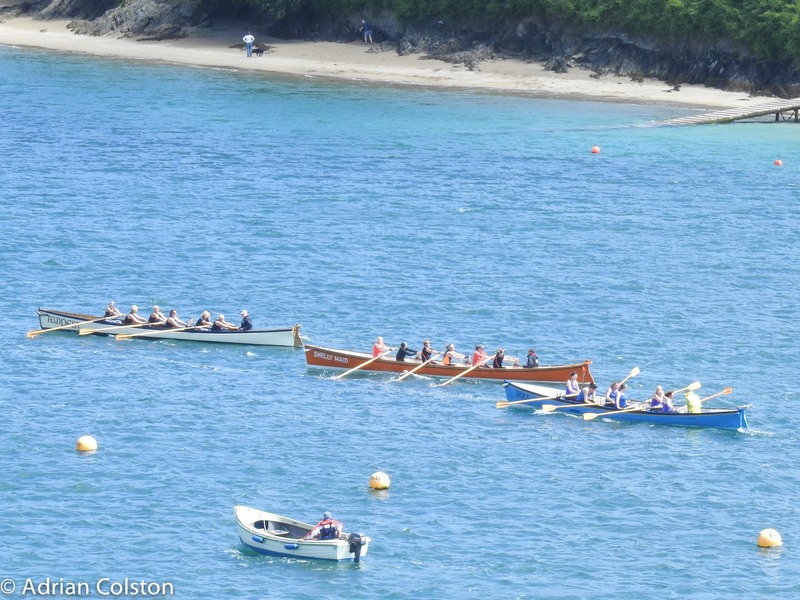 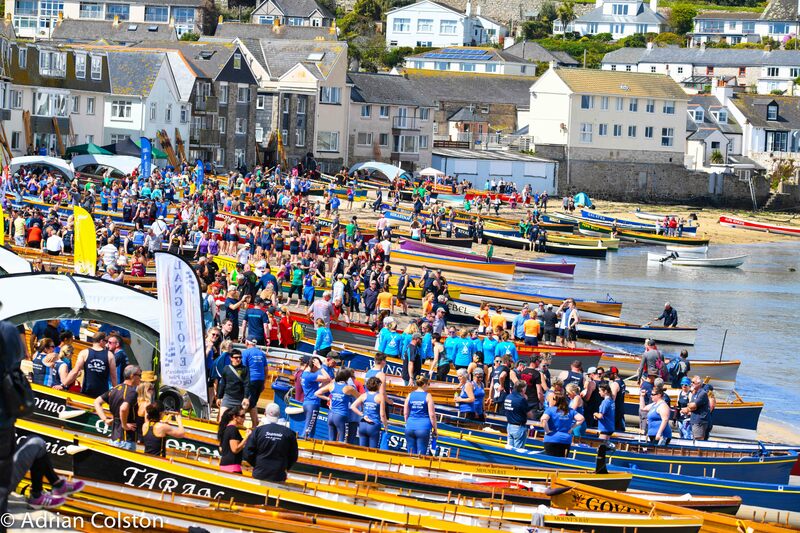 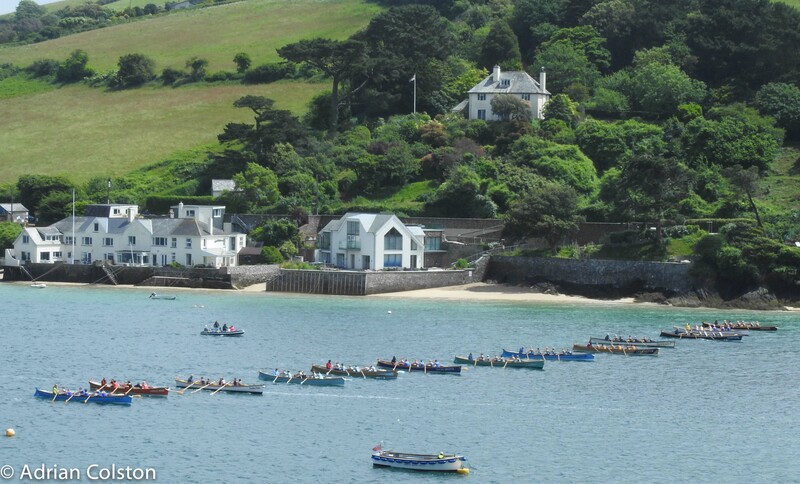 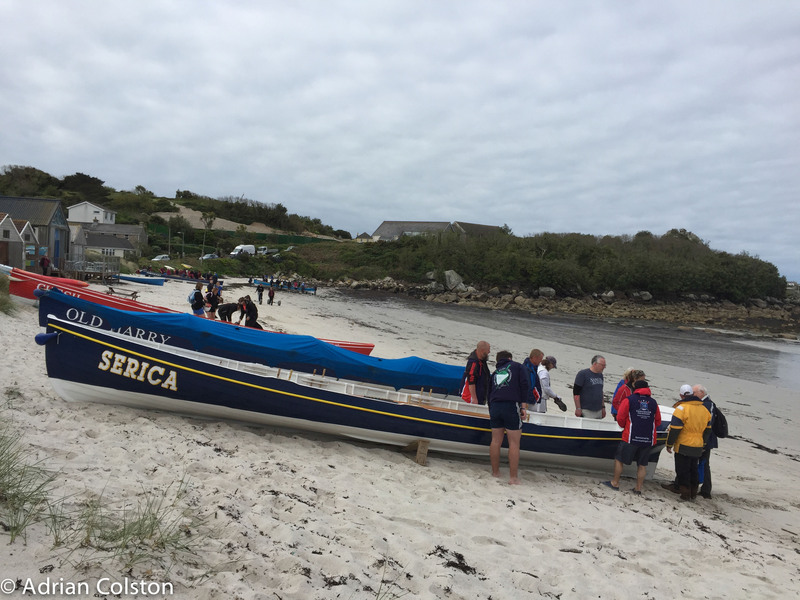 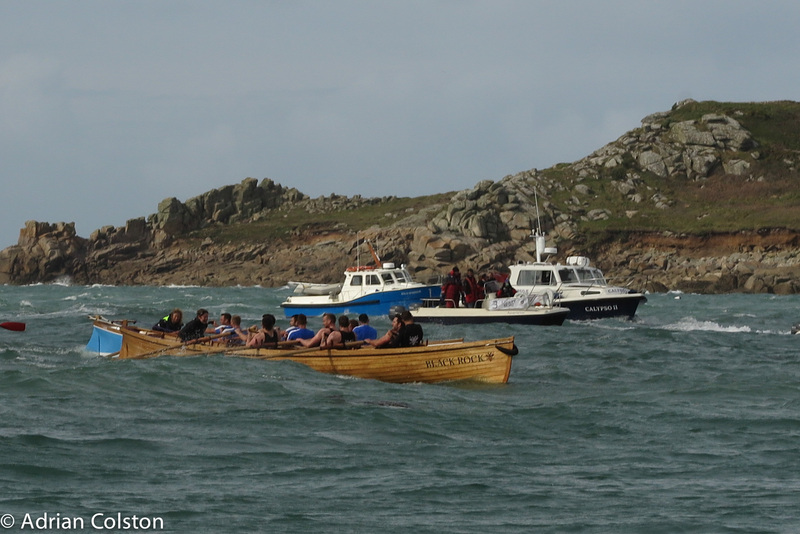 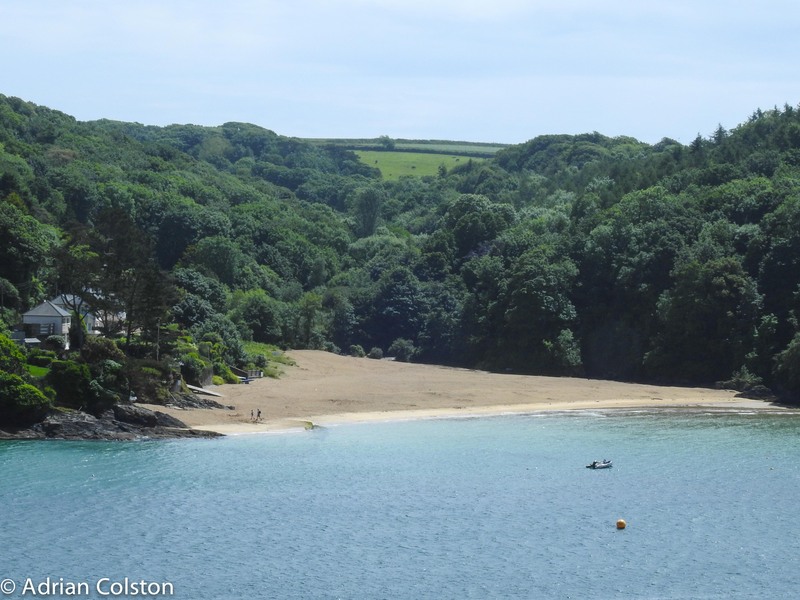 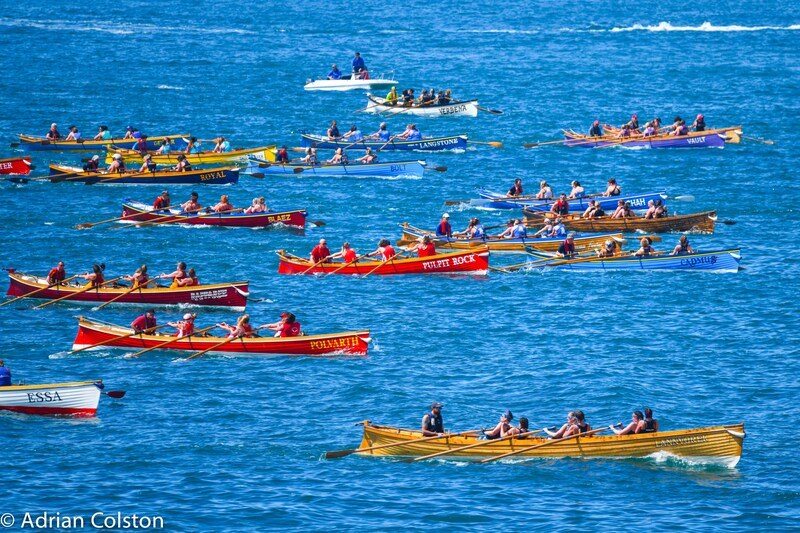 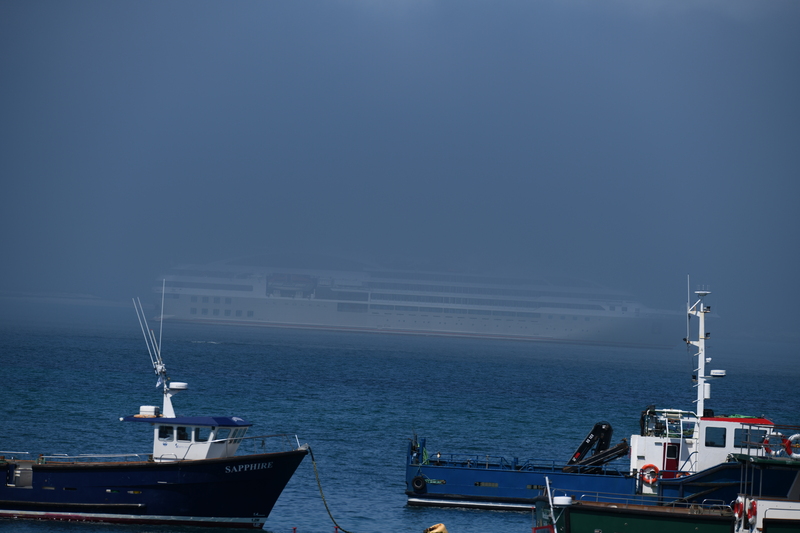 The weather was pretty good for the race from St Agnes even if the tides weren’t so kind. 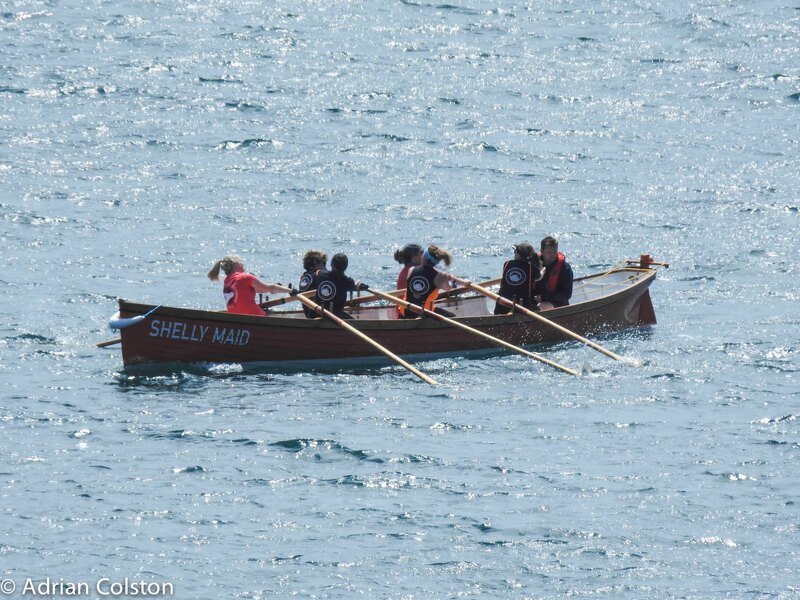 With a boat half full of water and a crew that had never rowed together the result was inevitable but nevertheless it was great fun. 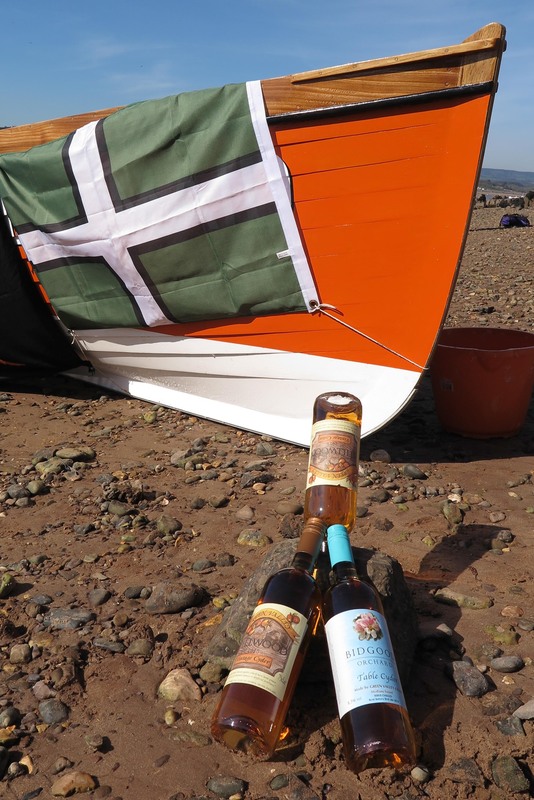 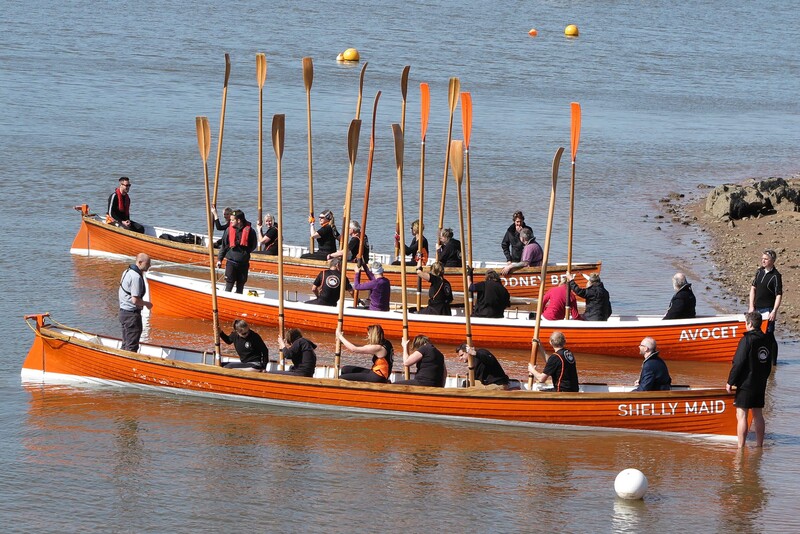 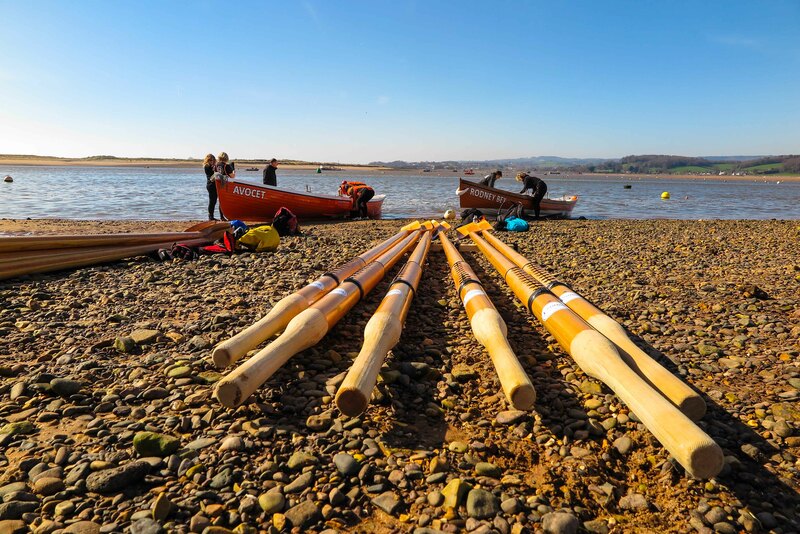 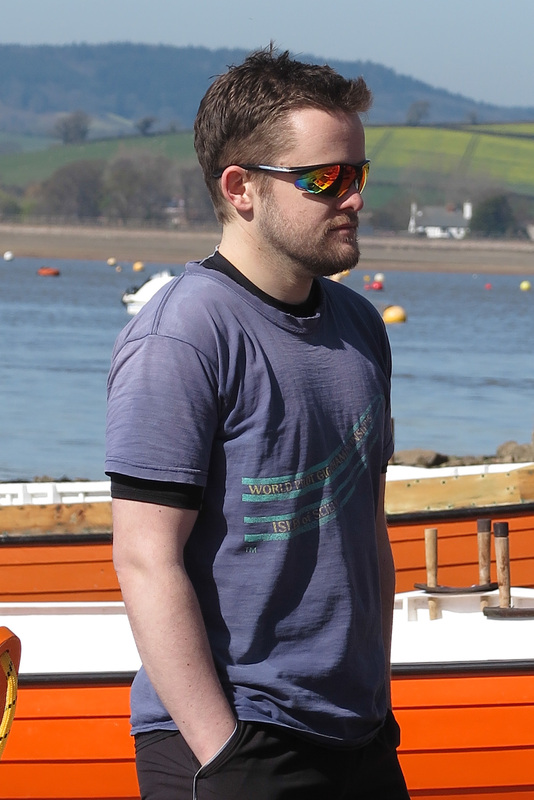 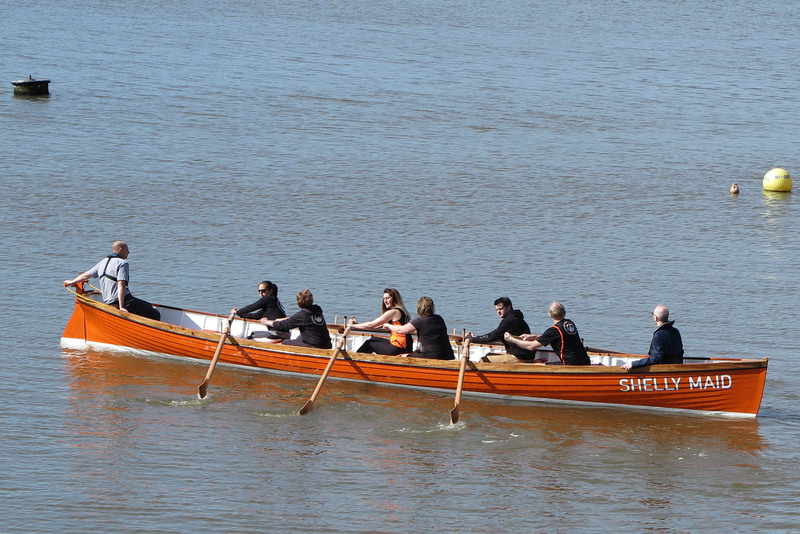 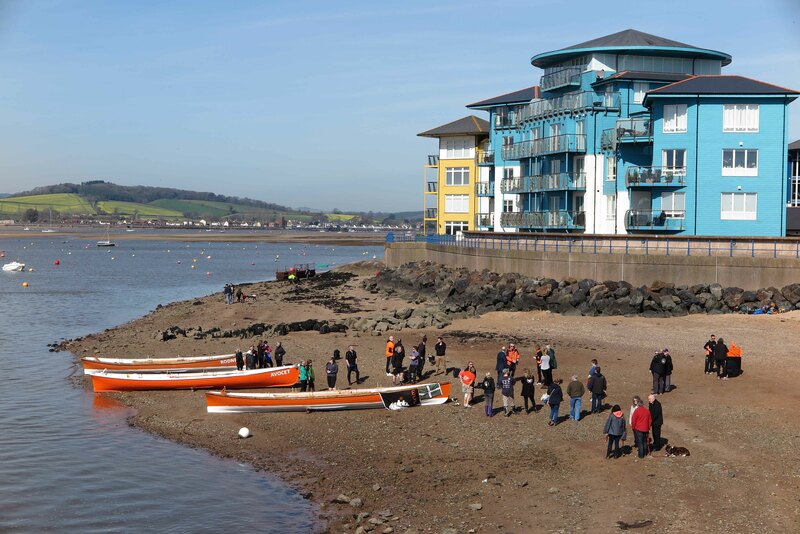 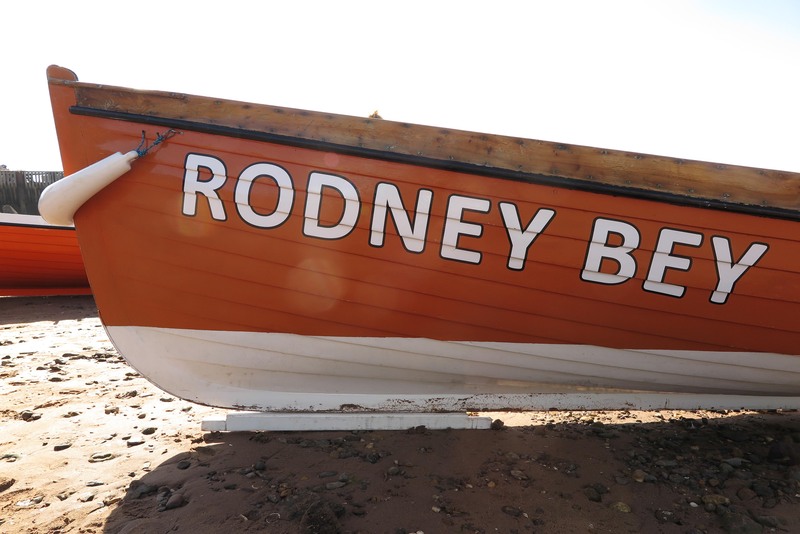 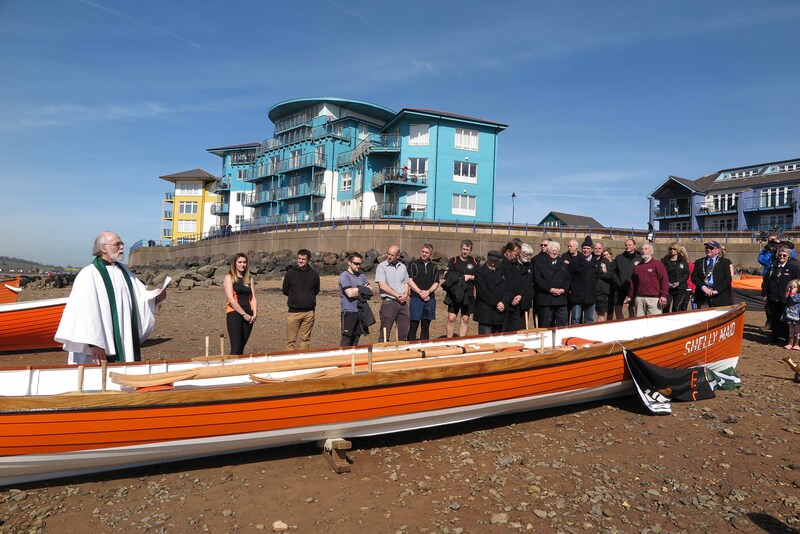 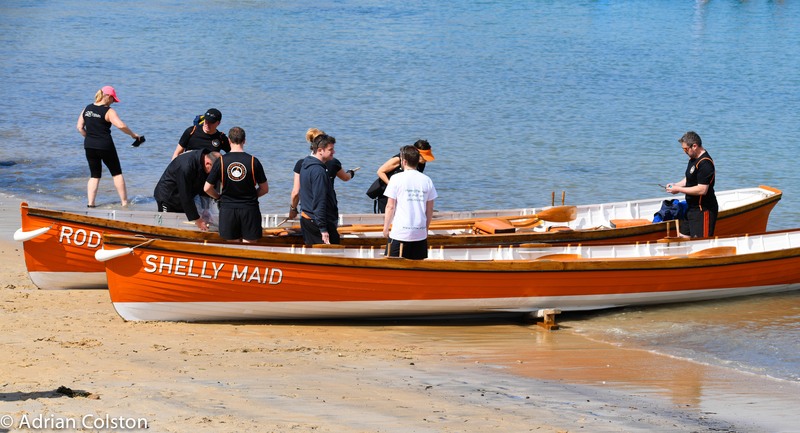 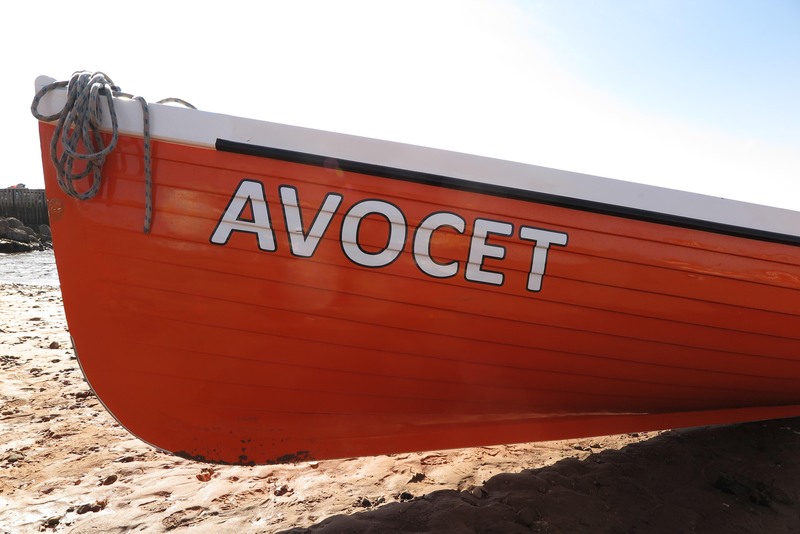 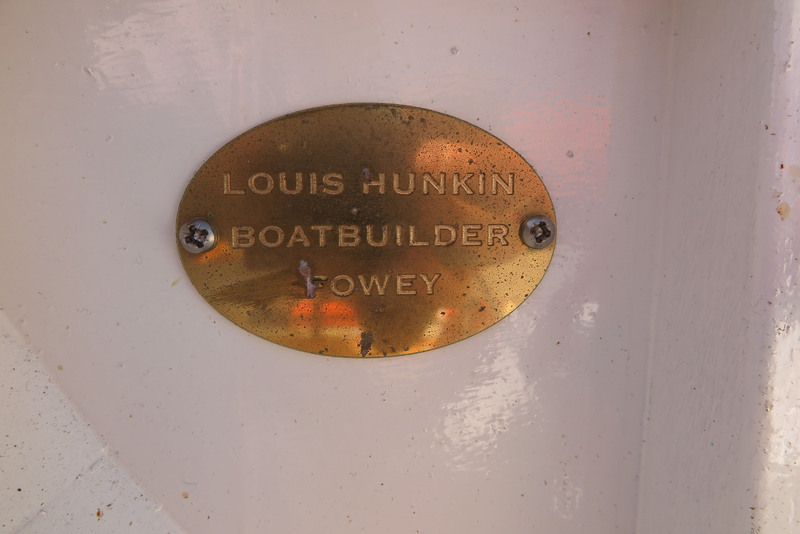 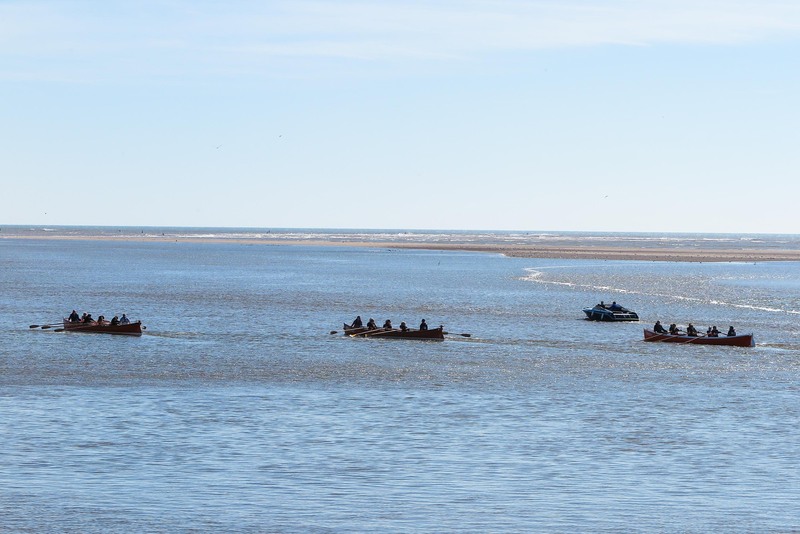 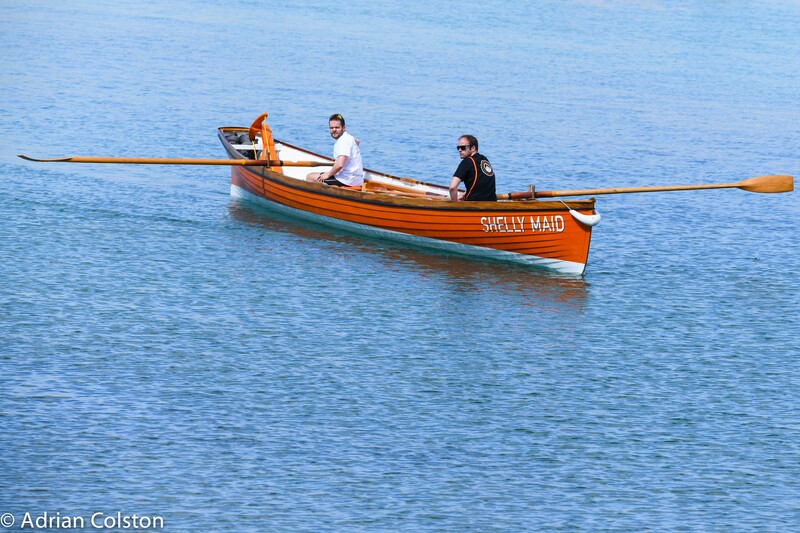 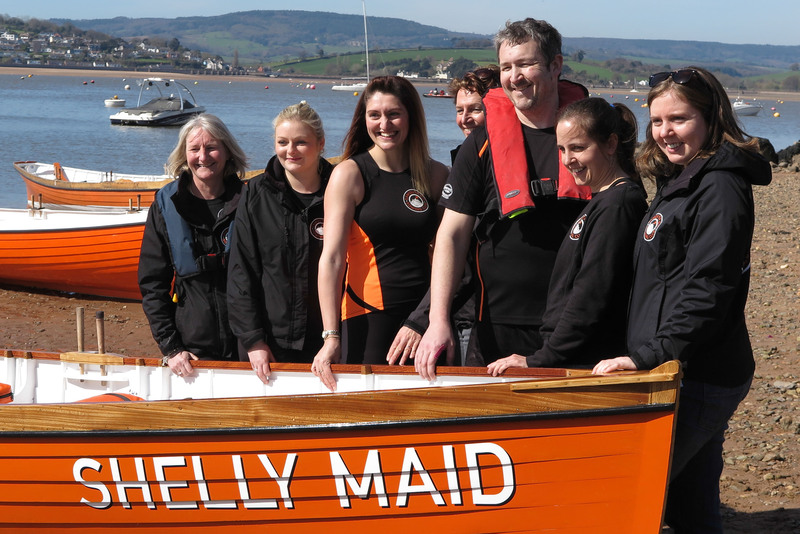 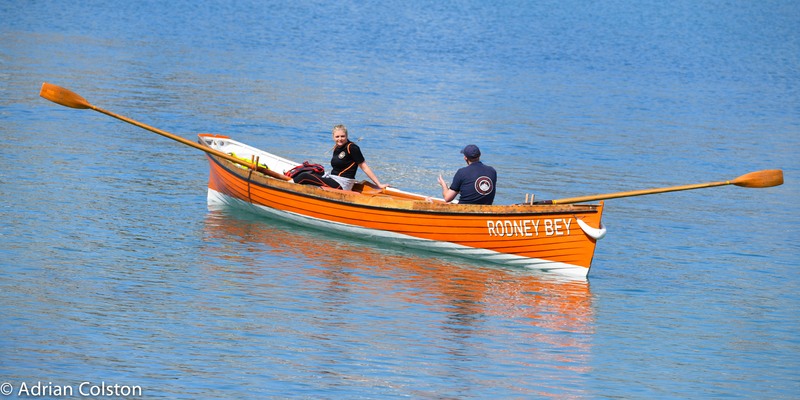 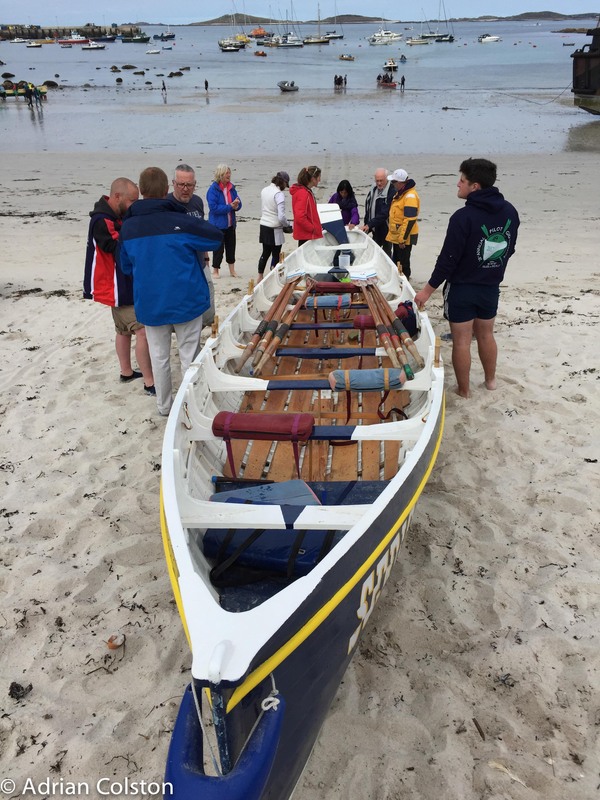 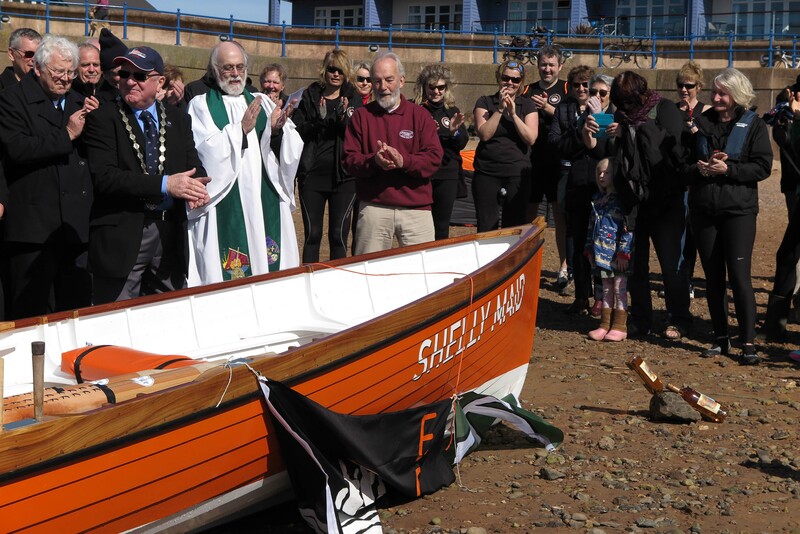 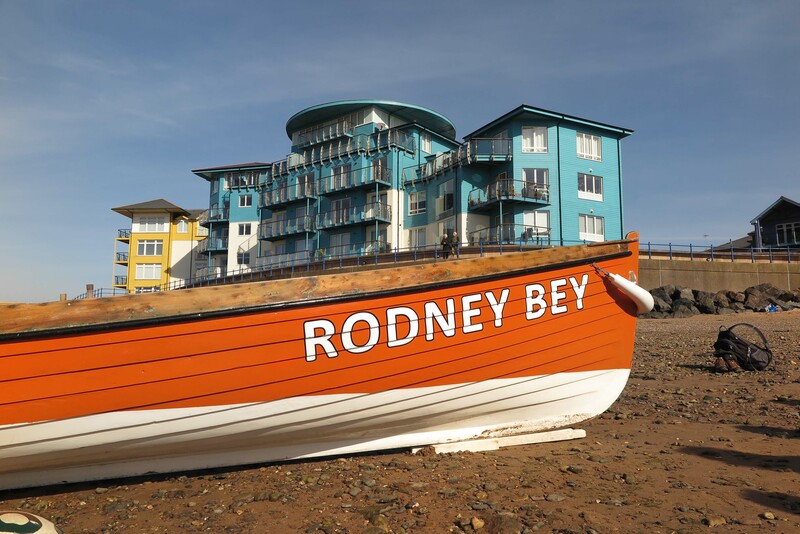 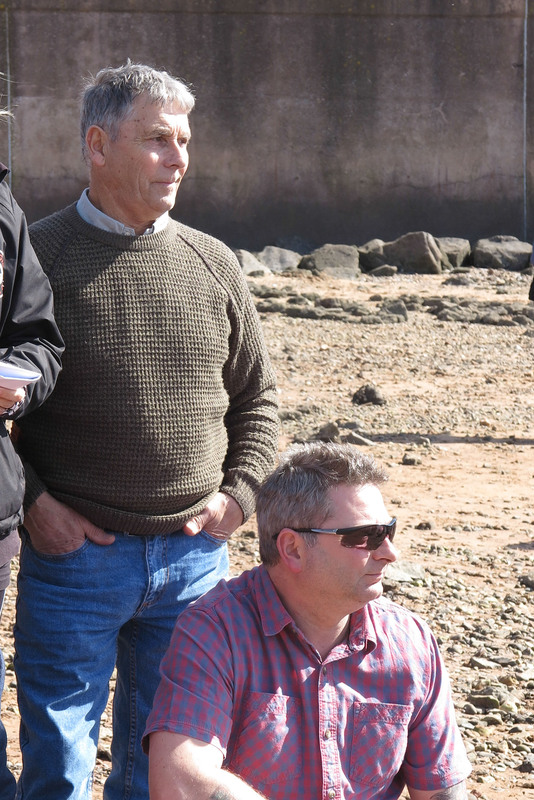 Yesterday Exmouth Gig Club celebrated the blessing and launch of Shelly Maid – our brand new gig boat – built by Louis Hunkin and funded by the One Family Foundation. 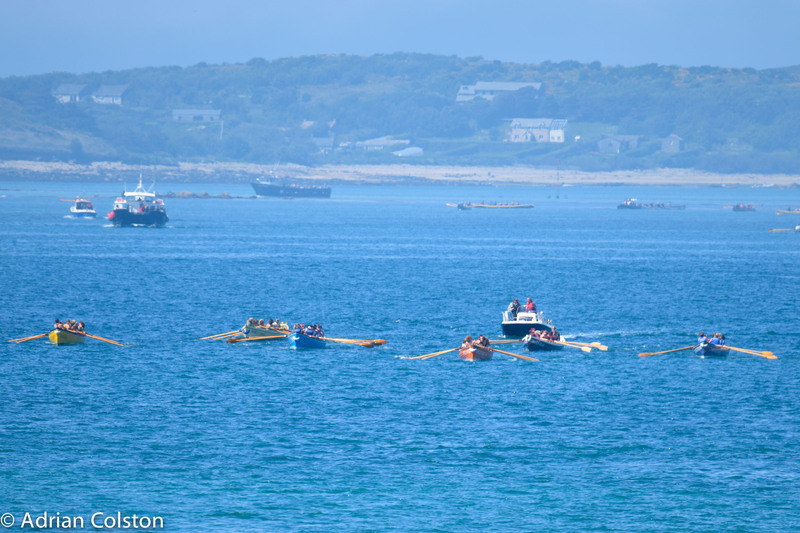 A great day in the sunshine here are some of my photos from the day.